Springtime has hit Shenzhen and it is disgusting. It rains constantly, and, when it’s not raining, everything is still wet with humidity. The tile floors of our school have proven to be hazardous and more than one student has seriously injured herself by moving too quickly on the damp floors (one of my students slipped so badly, she knocked out three of her teeth). With this deluge of wetness comes the realization that we are surrounded by more than just fog. Fog smells like rain, this smells like…trucks. 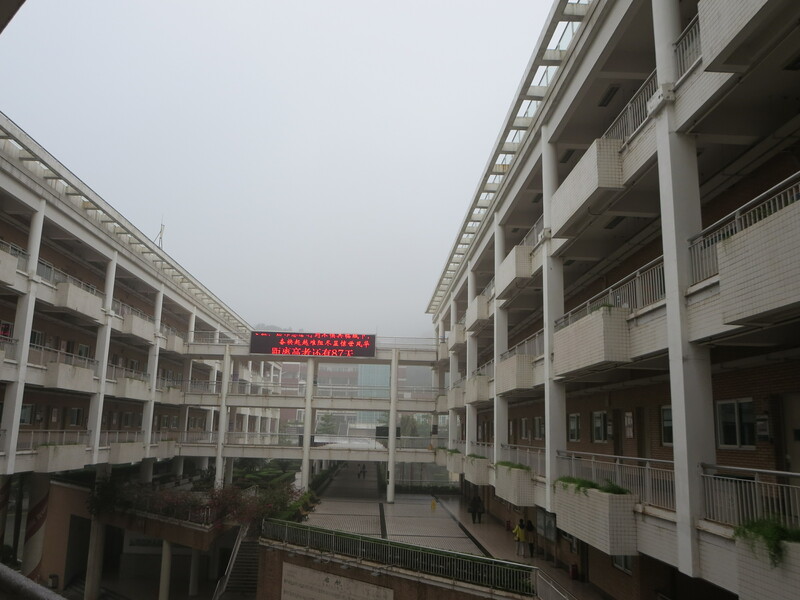 Every morning Spenser and I check the pollution in Yantian to determine if it’s safe to go running or not. More often than not, we have to deem it “unsafe” and hope we can go running the next day instead. But we’re not going to focus on the grossness today. Nay I say! 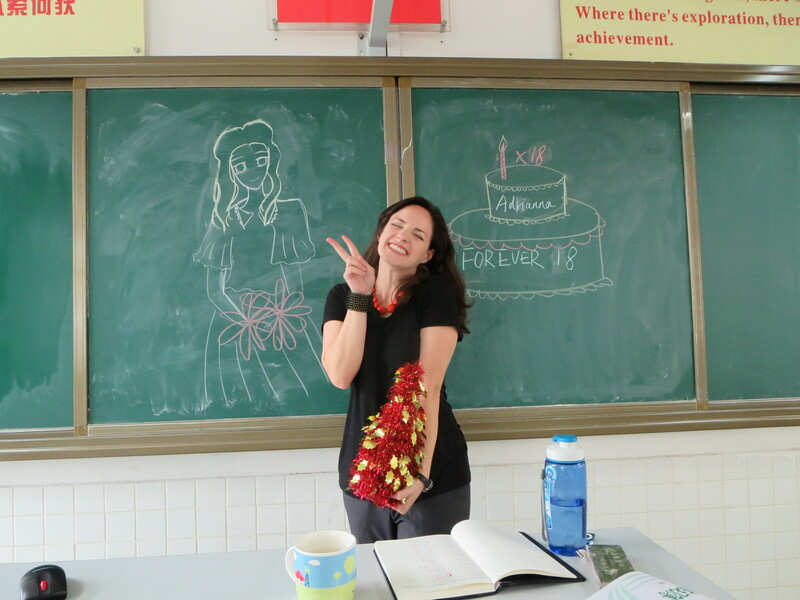 Instead I want to tell you all about what it’s like to have your birthday in China, as I just had mine a few weeks ago and boy, was it a doozie! Spenser and I decided it would be great fun to host a birthday party at our favorite teppanyaki place near the Civic Center metro stop. For two hours and 180 RMB, you can enjoy as much sushi, steak, hibachi grilled foods, beer, wine, and sake as your heart desires. Naturally, all the foreigners take over this place for our various celebrations. 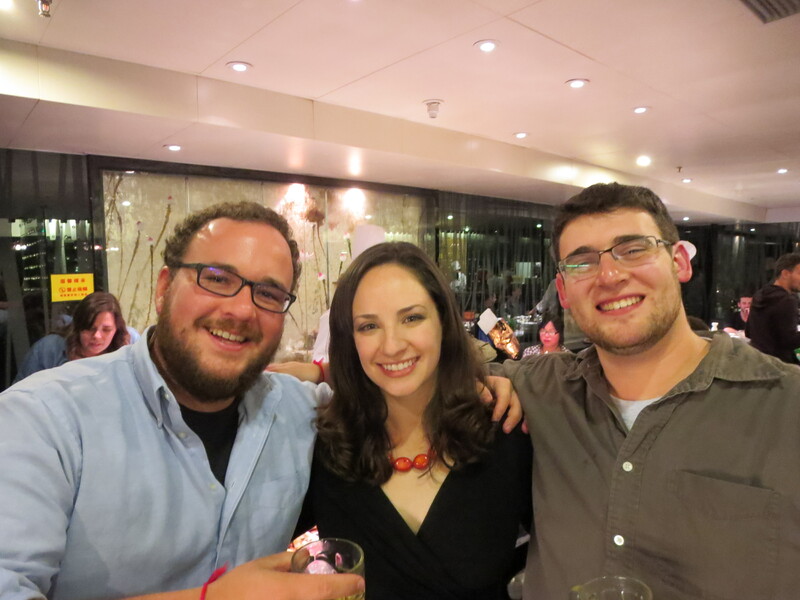 Our good friends Gabe and Jared also had their birthdays that week so this was a fantastic party for all three of us. We ate. We drank. We sang happy birthday to each other (in English AND Chinese). It was magical. This poor chef had to deal with 3 foreigner’s birthdays. Cat! Stop drinking beer! You’re a cat! 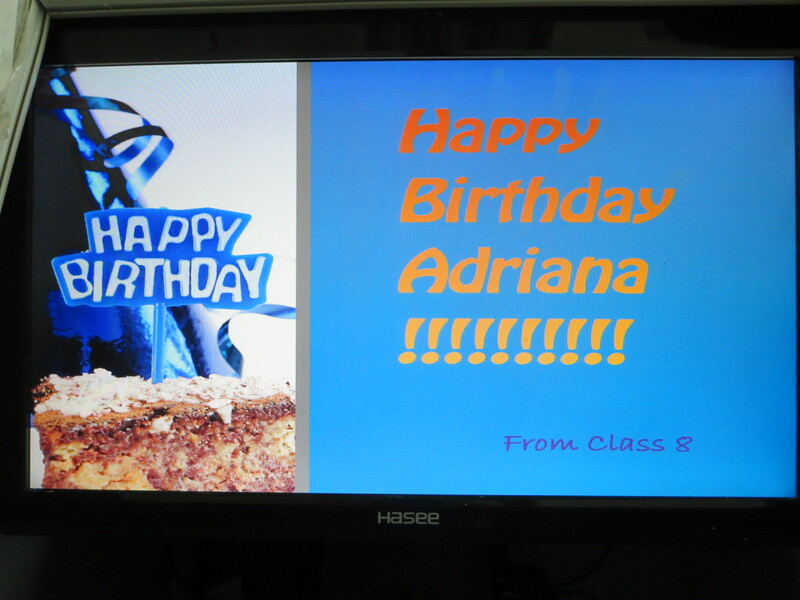 A few days later, it was my actual birthday day and I had to teach three classes. Spenser kept saying how bad he felt that he didn’t have enough time to get me a birthday present, but lo and behold! He surprised me after my first class with a beautiful and incredibly delicious cake. I love cake, so this was a wonderful surprise. Me: “Ok, well let me look at it.” More students come out to stop me from going in. Class 7, you’re ridiculous and I love you. 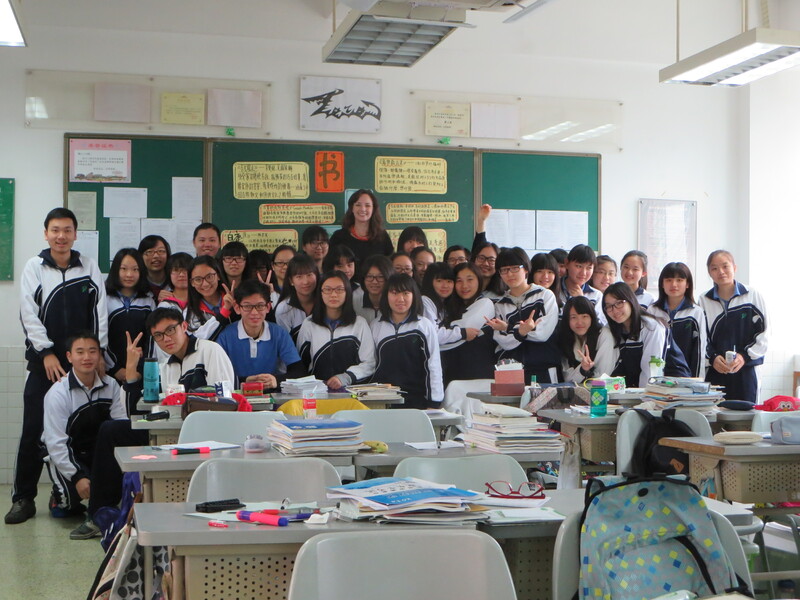 After many versions of happy birthday (English, Chinese, and Cantonese), we had a great class and I was totally ready to go have my official birthday dinner. 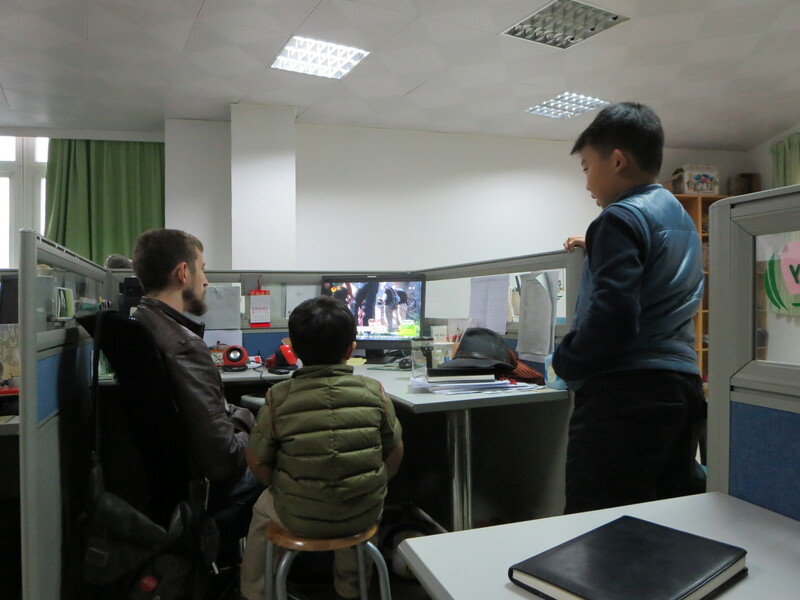 I came back to the office and Spenser was watching a Chinese TV show with some new friends. It was adorable. Spenser’s popular with the young ones.